Military Cinema Presents, Combat film of the 301st BG in WWII on DVD. 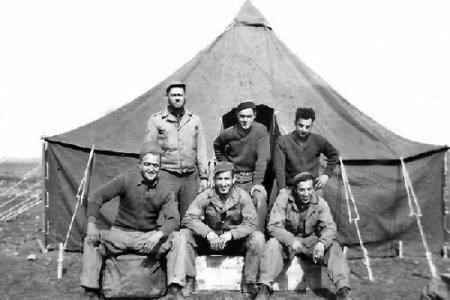 Archival Combat Film Footage DVD of the 5th Bomb Wing and 301st BG. We are in Africa and have just received our first pyramidal tent and moved out of pup tents. I am the one on the lower right. Above me is Tony Guardabascio. Center upper is Nick Romanchuk. Center first row I believe is Dave Slayton.